Venga y acompañe sus vecinos mientras nos reunimos a compartir comida e historias para poder comprendernos mejor y entender nuestras culturas. Por favor traiga un platillo principal o otro adicional que le recuerde a su abuelita, y que sea hecho utilizando ingredientes que vienen de la riqueza y sabiduría de su cultura. Traiga comida como para 10-12 personas y no se le olvide de la receta! 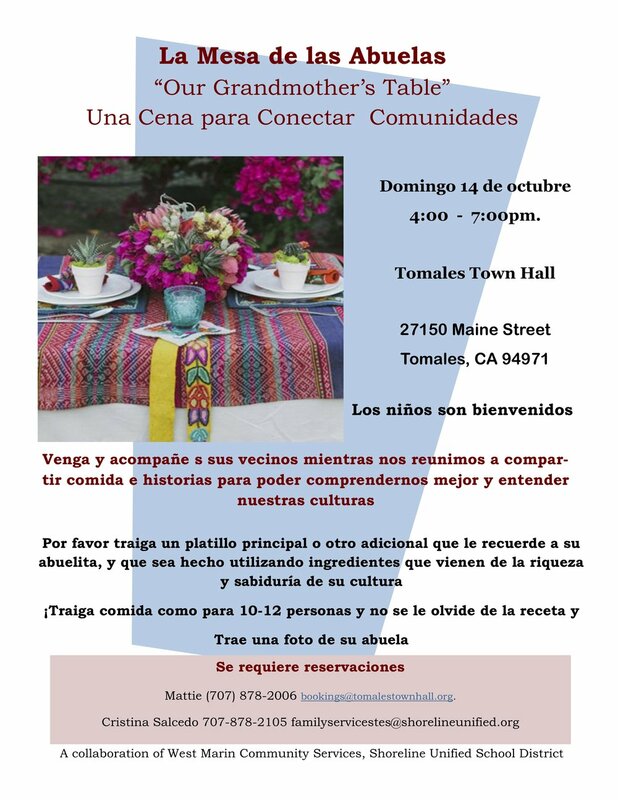 Una colaboración de West Marin Community Services, Shoreline Unified School District, y Tomales Town Hall. 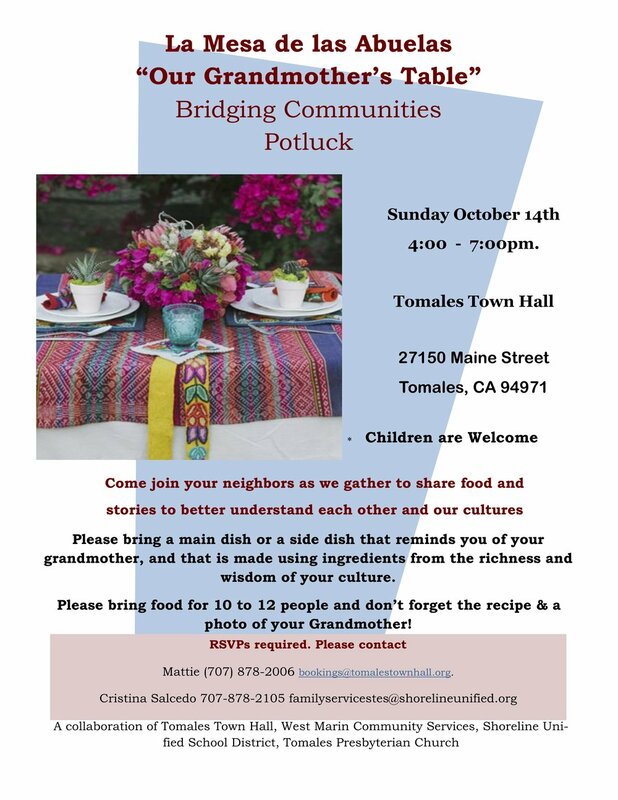 Come join your neighbors as we gather together to share food and stories to better understand each other and our cultures. Bring a main or side dish (enough to serve 10 to 12) that reminds you of your grandmother and is made using ingredients from the richness and wisdom of your culture. Don't forget to bring the recipe. A collaboration of West Marin Community Services, Shoreline Unified School District, and the Tomales Town Hall.